Elegant style replaces old, embarrassing curlers. We have created invisible iCurlers to give you a no-heat, healthy hair-rolling solution for creating amazing curls through easy DIY hairdos. iCurlers give you the lift and body of younger-looking hair. 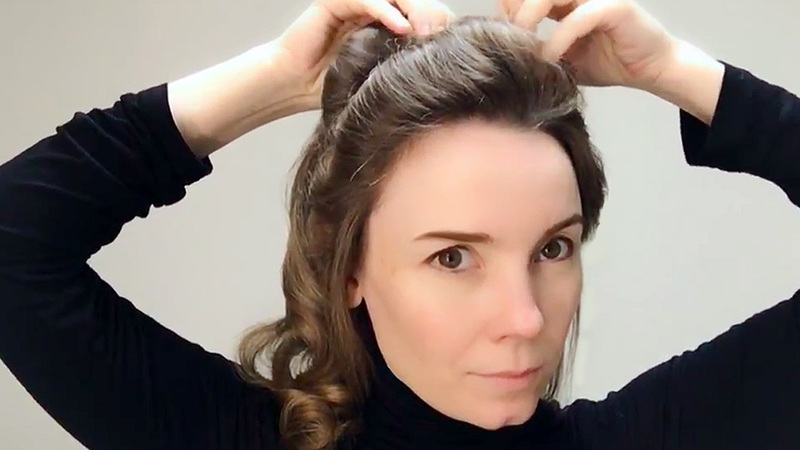 Thanks to iCurlers' complete invisibility, you create elegant, flattering, eye-catching curlydo you can go anywhere on public and run errands while setting your hair without risk of looking certifiably insane when you run into people you know. Even the most confident among us welcome that extra bit of it. Choosing between the 'marine mine' look and looking like a princess — with no visible rollers — is easy. No to mention the pedestrian matter of looking gorgeous with your iCurlers in while running your errands or having a bunch of relatives milling around your house during holiday season. With iCurlers, you'll never look like a crazy alien again! When you look good, you feel good. Even better? When you use iCurlers, you give your hair a chance to recover from irons and hairdryers, making it stronger. Look good and feel great from start to finish! 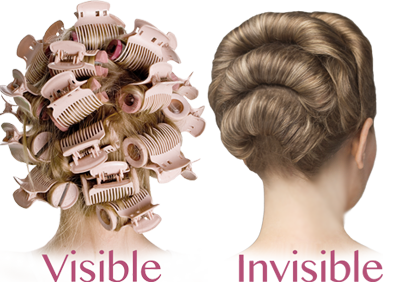 Get compliments galore with iCurlers, the new INVISIBLE HAIR ROLLERS. Thanks to iCurlers' complete invisibility, you create elegant, flattering, eye-catching curlydos. The step-by-step tutorial below shows you how. Together with the video above it will also help you understand how iCurlers work. Before rolling, make sure that the removable, pre-inserted pin sticks out roughly the same amount from either side of your iCurler. 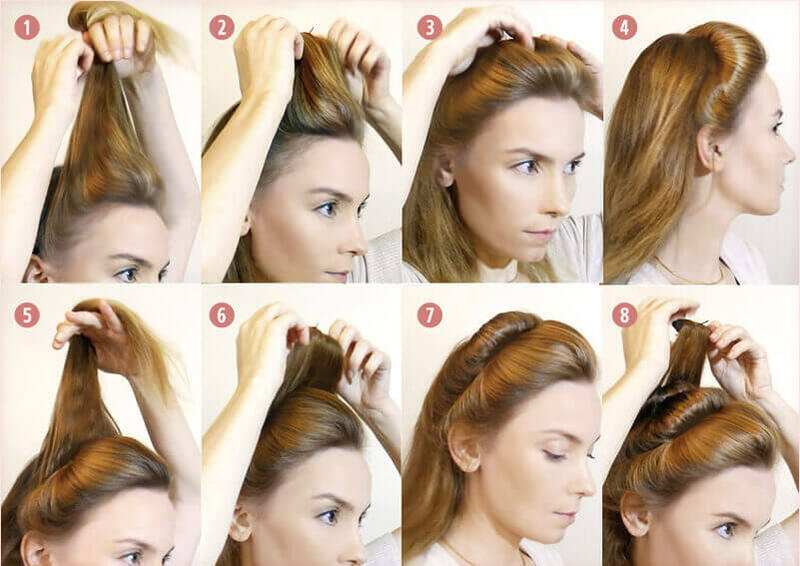 Once you rolled your lock of hair around the iCurler (photos 1 & 2), push the pin into your hair in the general direction of the roots (3) of the hairlock you just rolled. Repeat these easy steps several times (5 to 8) with more iCurlers, moving systematically from the front of your head to the back. 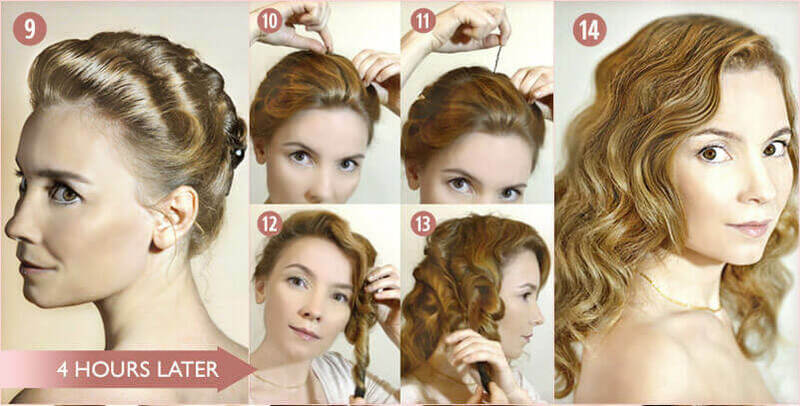 This way, you will create a curling updo in around 3 minutes, with the end result looking like photo 9. For a half-updo, putting in only 2 or 3 iCurlers will suffice. A few hours later your curls are set. Simply pull the pin completely out of the iCurler (10 & 11) and it will slide or drop away from your curled hairlock (12) as your roll of hair unwinds. Apply iCurlers quickly and easily yourself, at home. iCurlers do not irritate sensitive scalps. iCurlers hold your hair firmly in place for as long as you wish... and without clips. If your hair was slightly damp and you had a curlydo for over 4 hours, you will have nice curls. If your hair curls easily, you may already have curls in a couple of hours. Less time with dry hair will produce wavy hair, just like regular hair rollers. As iCurlers are really easy to use, there's almost no 'learning curve' to speak of. I absolutely love the [iCurlers] concept. I always use hot rollers and roller sets before events and find it incredibly annoying that I can't run errands while setting my hair unless I don't mind looking certifiably insane when I run into people I know. I can not beleive that these are not yet available in every store. 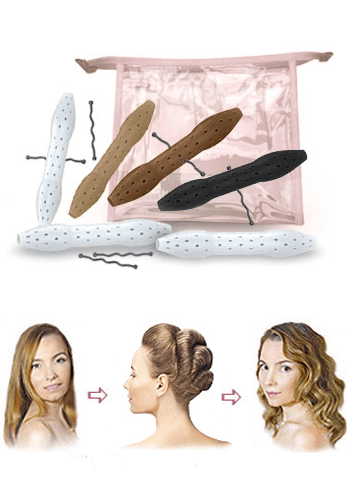 Six Invisible Hair Rollers for .long and medium length hair.